Carlos raced home, soaked from head to toe. As he opened the front door, he sighed in relief. The house was empty. He hung his dripping clothes on the line to dry in the Mexican sun. Invigorated by what he had done and relaxed by the fact that he had gotten away with it, Carlos settled into a quiet Sunday. He forgot all about his clothes . . . until his mother came home. She knew instantly what had happened: her teenage son, raised to be Catholic, had been baptized in a Protestant church. She put her foot down, "You need to make a decision. Either that church or your family." "You're not going to like my answer," Carlos replied. That was it. His mother never made him answer. After two years of hiding his faith, Carlos lived openly in front of his family, who watched him closely. That was 1986 in Culiacán, Sinaloa. 1997: Carlos looked at the missionary couple from Dallas Theological Seminary (DTS). For three years, they had visited his church in Mexico. The second year, they had brought a box—a box that changed his life. 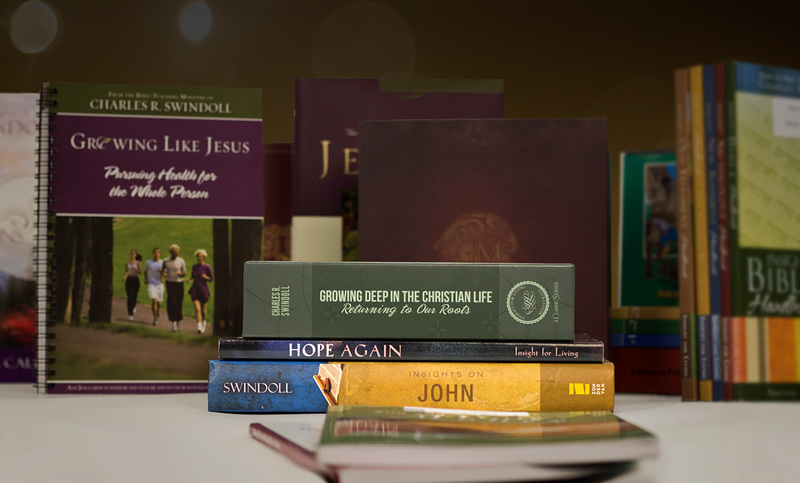 Inside, he found cassettes of Chuck Swindoll's messages in English and a copy of The Grace Awakening in Spanish. Through the tapes, Carlos began learning English. Through the book, he discovered a radical grace unlike any he had ever heard. Now, on the couple's third visit, they had offered him an opportunity to attend one class at DTS: Bible Study Methods by Dr. Howard Hendricks. It was a chance Carlos had dreamed of since he first spoke in church a decade earlier. The shyness that had always gripped him had fallen off like shackles that day. In its place came courage and conviction . . . and a new longing. Alongside that longing, his life had grown to be "complete." He had finished a term as the mayor's chief of staff—the youngest in Culiacán, Sinaloa's history. He was beginning a new business opportunity with the mayor's daughter. He had a fiancée and a computer design business. But he had always wanted to learn how to study the Scriptures. The course would take just five weeks. . . .
Carlos looked at the sky over DTS. The class wasn't over and hadn't been easy. He'd gotten by with an electronic translator. But he was invigorated, captivated by what he learned. He knew he had to become a full-time student. He also knew making that happen was impossible. A career and a fiancée waited for him. His mother, who had come to Christ through Carlos' character, was ill with Parkinson's. He hardly spoke English. He couldn't afford tuition. The committee that approved international students wouldn't meet until the next semester. Overwhelmed, Carlos thought of a favorite song: "God Will Make a Way." If this is You, Carlos prayed, You will make a way. Two days later, the phone rang: Carlos had been accepted at DTS. Two hours later, it rang again: he had received a full scholarship. When it rang a third time, he had a job in the registrar's office. On the plane back to Mexico, he reflected. God had made a way into DTS. Carlos' siblings would care for their mother. His partner had bought out their business. His fiancée had understood but broke off their engagement; she wanted to stay in Mexico. Only one end remained untied—the business opportunity with the mayor's daughter. The plane landed in Houston for a connecting flight. As Carlos settled into his next seat, his heart leapt. The mayor sat beside him. Carlos explained his new plans. The mayor, who wasn't a Christian, not only understood; he explained things to his daughter and collected enough gifts from people at city hall to fully fund Carlos' move to Texas! February 1998: Carlos looked up from his desk. 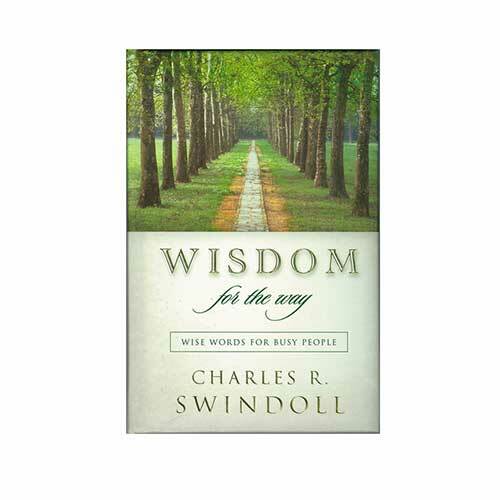 He heard a familiar voice; Chuck Swindoll was making his way through the building. When he got to the registrar's office, Carlos introduced himself. As they talked, he took a chance. "You know what?" Carlos said, "I have a dream. A book that was given to me, The Grace Awakening, changed my life and defined my ministry. I would love one day to translate your sermons into Spanish." Three years later, Chuck invited Carlos to start the Spanish-language service at Stonebriar Community Church (SCC), in Frisco, Texas, under Chuck's senior leadership. Six years later, while preparing a message series on the persecuted church, Carlos contacted Insight for Living Ministries, hoping to make a connection with a church experiencing persecution. That led to a lunch . . . which led to Carlos' becoming pastor of Visión Para Vivir (VPV), the Spanish-language ministry of Insight for Living Ministries. The week of March 7, 2011: Carlos thought back to exactly a year before. Standing on the bus he'd been assigned to shepherd for Insight's Israel tour, his eyes had locked on one passenger: Karla. Now, he stood on the grounds of Antigua, Guatemala's Casa Santo Domingo. He had traveled to Guatemala with VPV staff to host a pastoral conference, and Karla had come as the photographer. In 2008, he had visited the same hotel. He had decided then THIS was the place to propose, if ever God led him to the woman of his dreams. Carlos looked at her now . . .
November 11, 2011: Chuck married Carlos and Karla at Stonebriar Community Church in a beautiful ceremony that perfectly blended their two cultures. This year, they adopted a precious baby boy from China. Through Carlos' walking the streets of Frisco to connect with Hispanics in the area, the Spanish-language service at SCC grew from no members to hundreds. God not only fulfilled Carlos' dream of learning to study the Word; He made a way for Carlos to teach others to do the same. In addition to preaching on Sundays and translating Insight for Living into Spanish, Carlos has taught several classes for the Lay Institute of DTS and for Central American Theological Seminary (SETECA), including Bible Study Methods in Spanish! In his 11 years with VPV, he has traveled throughout the U.S., Latin America, and the Caribbean, hosting leadership conferences, marriage and men's retreats, revivals, and other Bible-study seminars in 12 countries. From Cuba to Peru, Bolivia to the Dominican Republic, he trains pastors and lay leaders to use Chuck's Searching the Scriptures study methods. Through video calls, he does one-on-one mentoring with believers in other countries over longer stretches. This past August, Carlos stepped down from SCC to dedicate himself full-time to helping Insight for Living Ministries pursue Vision 195 in the world's 22 Spanish-speaking countries. Looking back, Carlos shakes his head in awe. He has no doubt. From those dripping clothes on the line in Mexico to a seminary in Texas . . . across the Gulf of Mexico and the Caribbean Sea to pastors desperate for training . . . over the Atlantic to a little boy chosen specifically for Carlos and Karla . . .